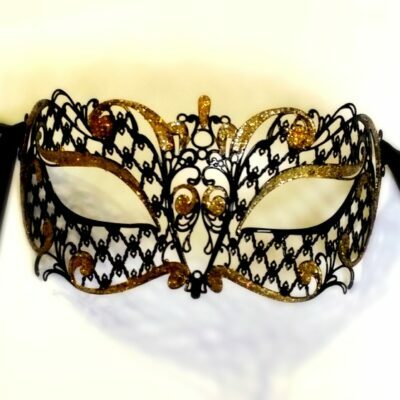 Elegant Masquerade Mask made in Italy from Black Filigree Metal Lace which will give the most comfortable experience possible. 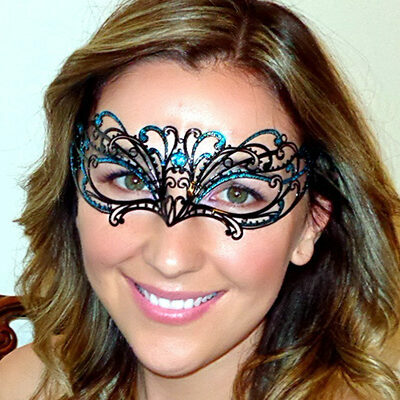 Metal Lace Masks are super light and very comfortable. 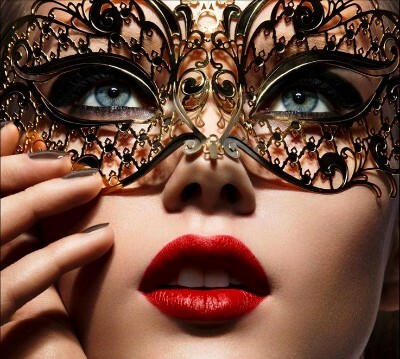 The mask is quite flexible so that it will wrap around your face well. 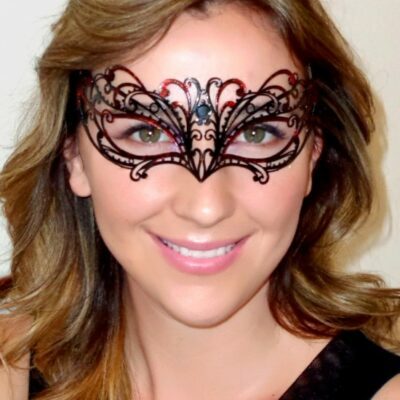 This mask is a great fit on every face and is ideal for a regular to large face. Petite women are better suited to our Enchant Mask. 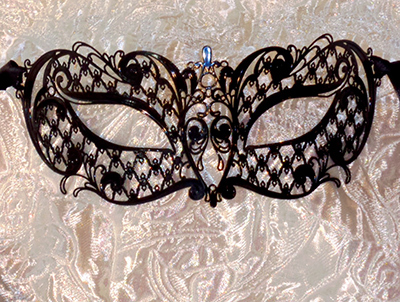 This mask would look great with that little black dress for a formal Masquerade Ball or Charity event. Black Adele is secured to the face using Black Ribbon ties. 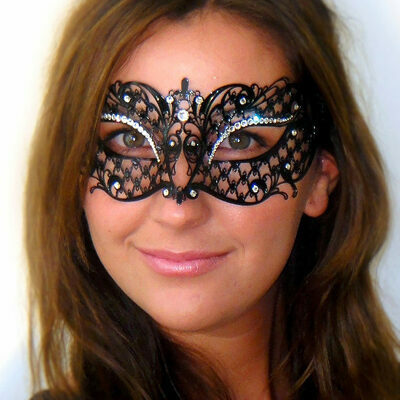 We can add feathers for an extra $15.90 and also stock this mask with Swarovski Crystal embellishment. 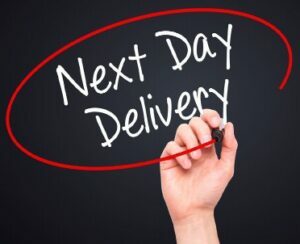 Awesome service and quick delivery. The mask is beautiful and Antoinette is lovely to deal with. Extremely well made and shipped quickly. 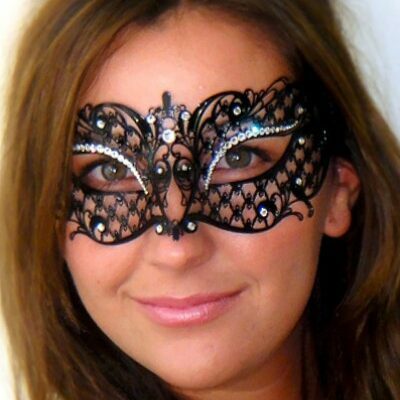 I am extremely happy and will be recommending this site to all my friends who need masks! The masks are amazing. Well made and exactly as pictured. Shipping was fast. Could not be more pleased and actually ended up ordering about 9 masks!